This is the fifth and last blog in our series about the wonderful sponsors of the 9th Elysian Winter Beer Festival. The Townhouse Pub, 60-64 Market St, Ely CB7 4LS, has always, over the years, been a staunch supporter of the Ely Beer Festival and this year is no exception. The Townhouse Pub is a family run pub which was formerly a Georgian townhouse, is a grade two listed building, and was converted into a pub in 1996. It has a spacious conservatory and an enclosed courtyard which is perfect for sitting out on a summer’s day. 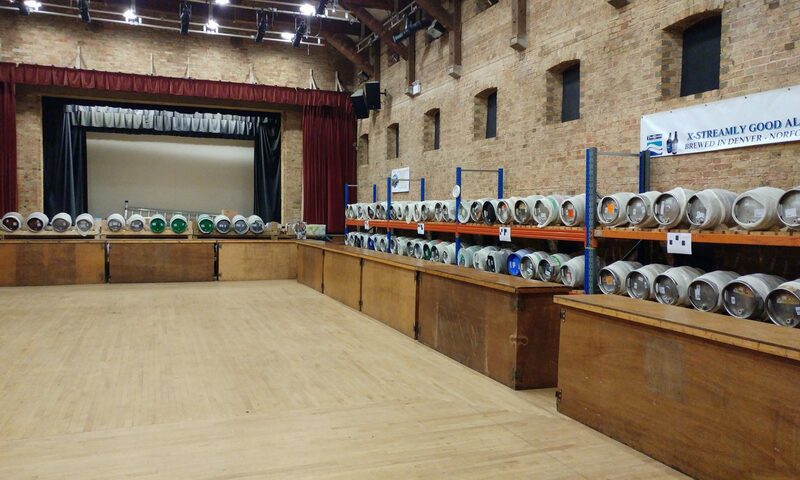 It also hosts an annual beer festival which takes place in the summer and is well worth a visit. It seems to go from strength to strength each year and takes place around the same time as the popular Ely Folk Festival. The pub is Cask Marque accredited and is part of the locALE scheme which requires participating pubs to supply ales brewed within the area. There are five hand-pumps of ever changing guest ales. The beers are often sourced from local breweries, including another of our sponsors, the Three Blind Mice brewery. Ales are also served from Buntingford, Elgoods, Nethergate Breweries, Humpty Dumpty and Earl Soham plus many others from further afield. The facilities include a pool table, regular live music and late opening on Fridays and Saturdays with a DJ and regular quizzes. A large range of Homemade meals that suit all palettes are served throughout the week and the Sunday lunches are well worth a visit for. Families are also very welcome. The pub will be participating in the Ely Fringe Festival over the weekend of the beer festival where you will be able to try beers which are not on at the festival itself, so be sure to pay a visit.